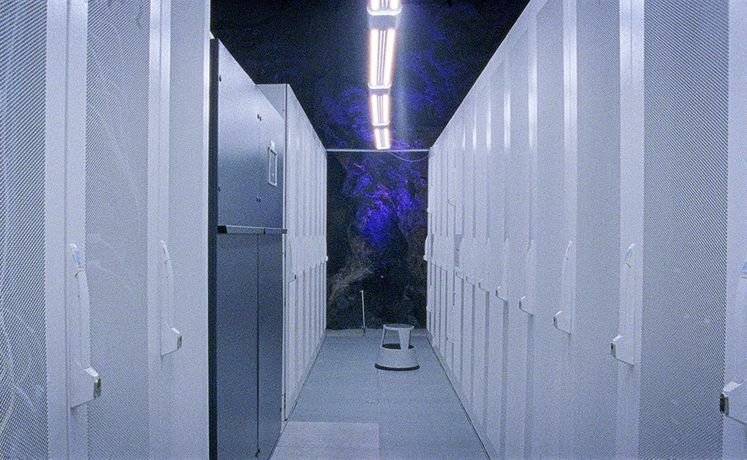 Engaging with themes of ecology, science-fiction and architecture, South Kiosk is pleased to present Ben Rivers Urth (2016) and Emma Charles White Mountain (2016) in a one-off screening programme As Above, So Below at South Kiosk this Thursday from 7pm (films start 7.30pm). 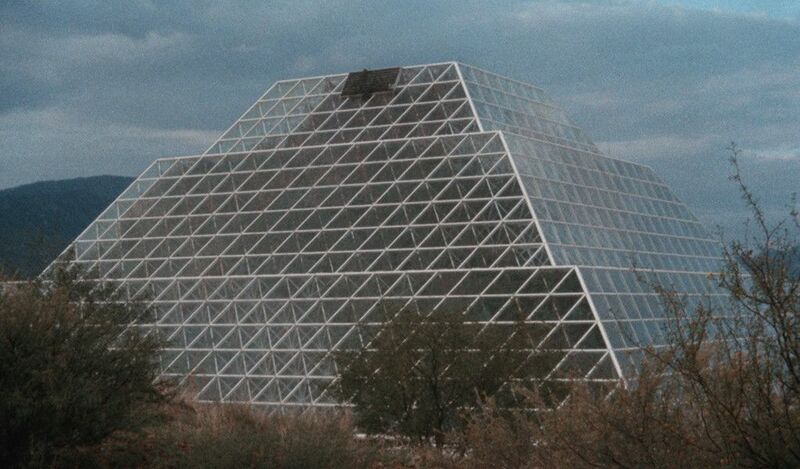 Filmed inside Biosphere 2 in Arizona, Ben Rivers’ Urth forms a cinematic meditation on ambitious experiments, constructed environments and visions of the future. Science Fiction writer Mark von Schlegell’s accompanying text charts the final diary instalments of a woman contemplating her existence within the confines of the biosphere and the changing world that lies outside it. Urthconsiders what an endeavour such as Biosphere 2 might mean today and in the near future, in terms of human kind’s relationship with the natural world. In the age of data, Emma Charles’ White Mountain explores the vast interlocking structures of planetary computation and the material infrastructures that permeate the depths of the Earth’s geology. 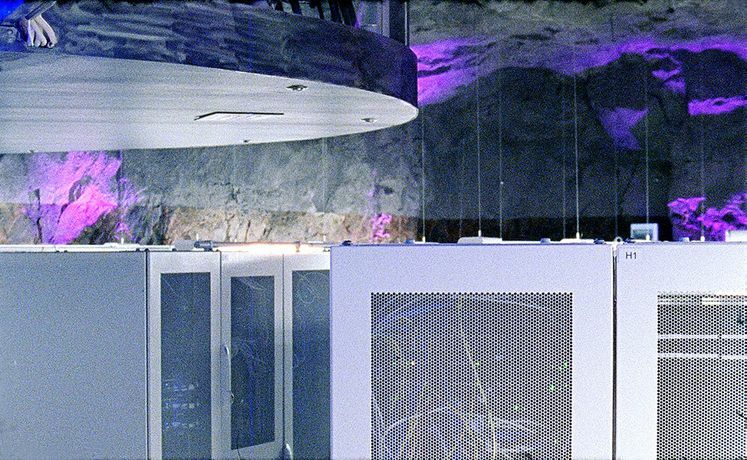 White Mountain focuses on the Pionen Data Center in Stockholm - a former Cold War-era civil defence bunker redesigned by architect Alber France-Lanord. Located 30 meters under the granite rocks of Stockholm, the hydrogen bomb proof subterranean hub has been constructed with direct references to science fiction films such as Silent Running, and the classic Ken Adams designed Bond-villain lairs. White Mountain explores the protected architecture of data and the value we place on digital information. With accompanying script written by Jussi Parikka. As Above, So Below is presented as part of South Kiosk's current show, The Theory of Concentric Spheres featuring works by Oliver Laric, Rosie Carr, Alan Warburton, Naheed Raza and Jayoon Choi.The Theory of Concentric Spheres runs until 31st March.